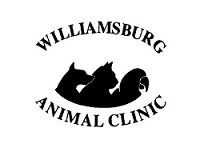 Do you have questions about animal health, medications, therapies, surgery, behavior, or safety? Did your veterinarian suggest you visit this site to learn more about a health issue concerning your pet? VeterinaryPartner.com is here to support your veterinarian and you in the care of your companion animals by providing reliable, up-to-date animal health information from the veterinarians and experts of the Veterinary Information Network (VIN), the world's first and largest online veterinary database and community.